I learned all I know about testing on the job. That’s not enough for me. 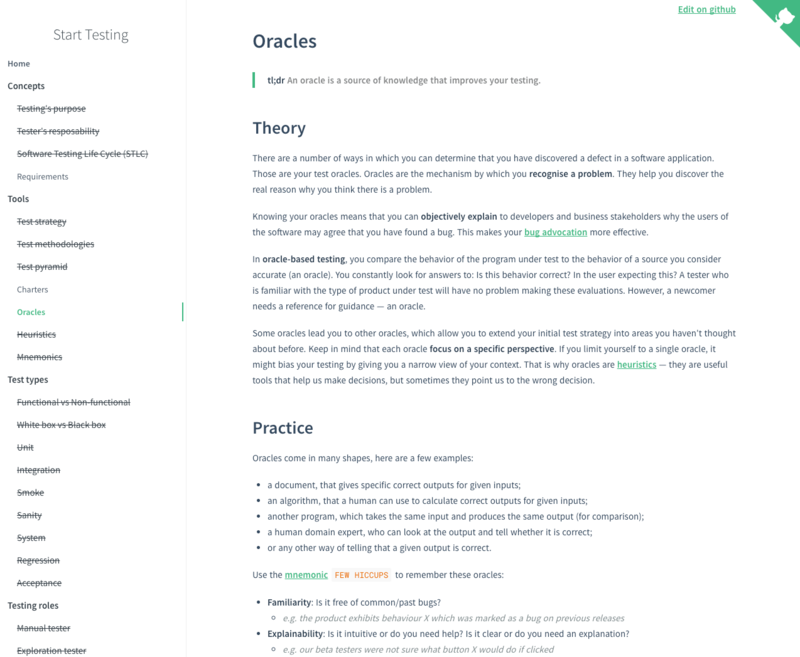 That’s why I have a strong desire to do a deep dive on testing — take my time and revisit the fundamentals, learn “the proper way” to test, and mentally connect all the concepts I found along the way. I read all that and wrote summaries? and published those summaries to help others? and anyone could make changes to keep them updated and unbiased? Thus Start Testing was born on Jan 1st. 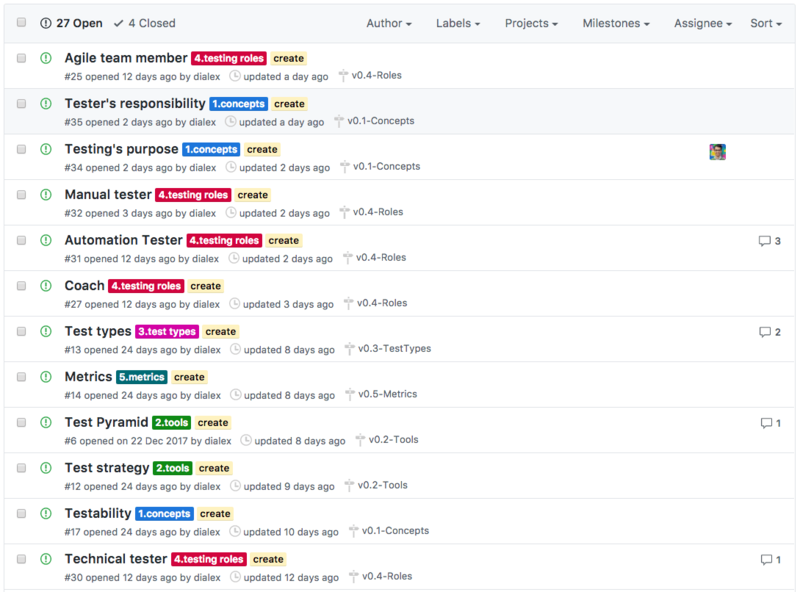 The topics I need to investigate are GitHub issues. They contain the links I need to read. I prioritise those topics with a simplified Kanban. 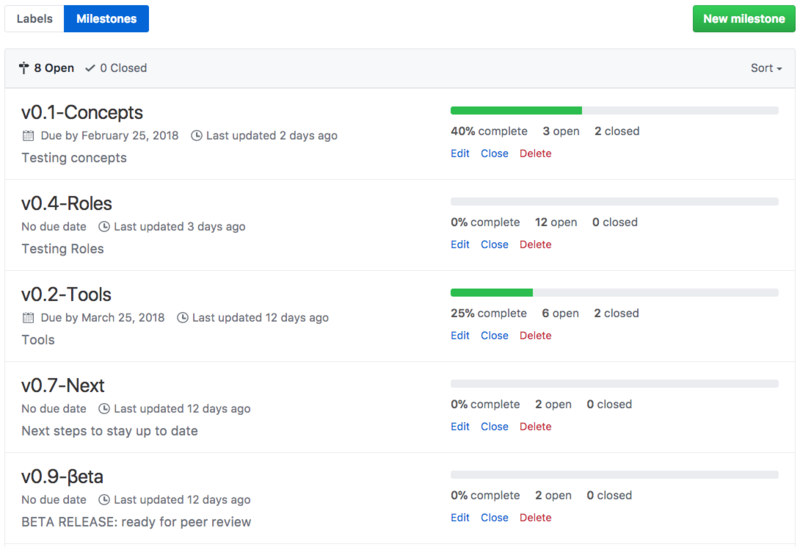 I group topics into milestones, which allow me to track my progress.